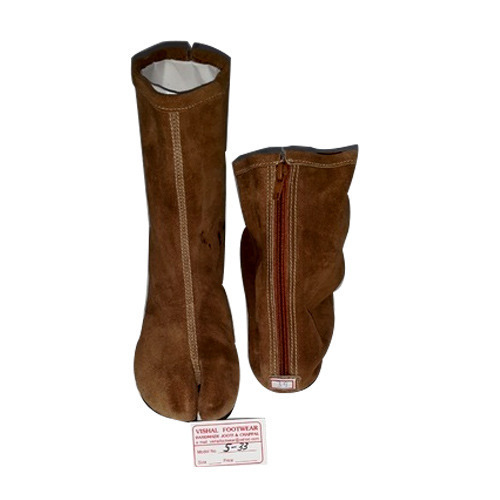 We are one of the foremost organizations for offering the premium quality assortment of Ladies Long Boot for our valuable customers. Established in 1990, Vishal Footwear is a recognized manufacturer, wholesaler and exporter of Ladies Ankle Shoes, Formal Shoes, Leather Sandal, Ladies Long Boot and many more. Our products are enormously used by patrons due to their top quality, attractive design, highly comfortable, long-lasting nature and various colors. These products are developed by professionals utilizing the industry allowed material, which is sourced from the trustworthy sellers of market. To make these products, we have selected a team of dexterous experts who have prosperous industry acquaintance. Professionals are proficient to make these products as per client’s demand. In addition, we have quality checkers who check our products on industry standards. Moreover, our right business policy makes us well-known organization of the market.